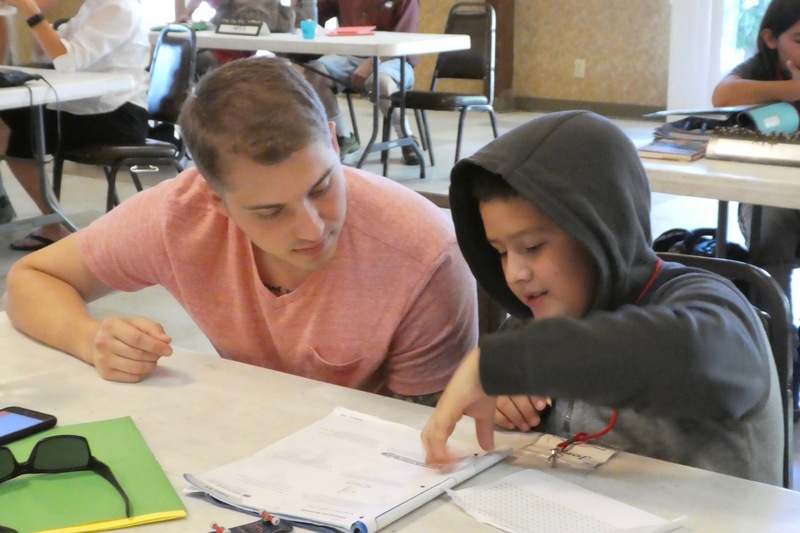 If you enjoy working with children, tutoring at CLASP may be the most rewarding volunteer opportunity in your life! You will work with two or more of the 150 children we select each year from Claremont’s elementary schools because they have the greatest need for our services. Historically, CLASP serves children who come from approximately 80% low-income families and 90% from various minority groups. In addition, 25% are officially classified as homeless and 35% come from families with first languages other than English. Although your primary responsibility is to help them with their homework, you will do much more than that. You will also serve as a mentor, a role model, and a stable and trustworthy adult in their lives. You will not only help them develop the knowledge and skills they need to be successful in the classroom but the experience of genuine achievement they need to be successful in life. And you’ll have a lot of fun! As a volunteer tutor, you may join us any time during the school year. When you do, you agree to spend a minimum of one two-hour session a week at CLASP. Sessions begin mid-afternoon on Mondays through Thursdays at our five neighborhood centers. Find Us. You may select a center that is the most comfortable and convenient for you. For the sake of building strong and stable relationships, we encourage you to make a one-year commitment, or a minimum of one semester. Of course an occasional absence is acceptable if you have a conflict. In all of the centers, once homework is completed, it’s time for play. You will have the opportunity to read together, chat with your tutees, play a word or number game or do craft projects. We frequently need substitute tutors, especially during college breaks. If you cannot make a weekly commitment, add your name to our on-call list. It’s a great way to become involved with CLASP! Don’t let transportation be a hurdle. Let our Tutor Coordinator know if you need a ride, or if you can provide one to another tutor. To volunteer, please complete the online Volunteer Registration Form. Online is preferred; however, it could be printed and submit via email or mail to the CLASP office. Submit online volunteer registration form today! To help elementary-school children enhance their academic, organizational and social skills by providing high-quality after-school programs in Claremont Unified School District neighborhoods.